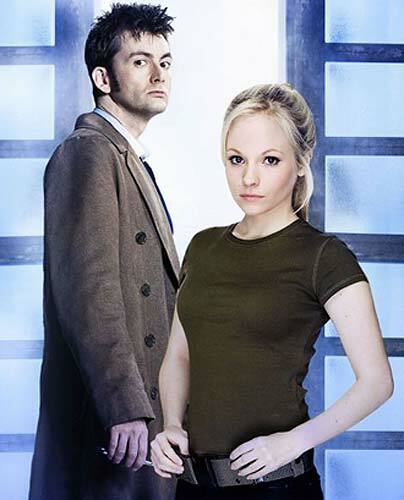 10 Yetis can't be the only ones who have an opinion about David Tennant going out with his on-screen Dr Who daughter, can we? 37 year old Scotsman David Tennant, who is a great example of a fine British actor, has recently been spotted leaving his house with 23 year old co-star Georgia Moffett who stayed the night. Not so bad? Well, it is when you find out that she played his on screen daughter just last month! Something feels bizarrely incestuous about this, although the pair are doing absolutely nothing wrong in reality. In an even weirder twist, the single mum is the real-life daughter of 1980s Doctor Who, Peter Davison! The ever-brilliant Derren Brown recently used David Tennant in his new series of 'Trick or Treat', which was really interesting, but even more interesting that it preceded Dr Who series 4 volume 1's release yesterday! Sooo, Dr Who gains yet more publicity through this odd relationship, whilst Season 4 heads straight to the top of the DVD charts. I'd like to say we were doing the PR for it!